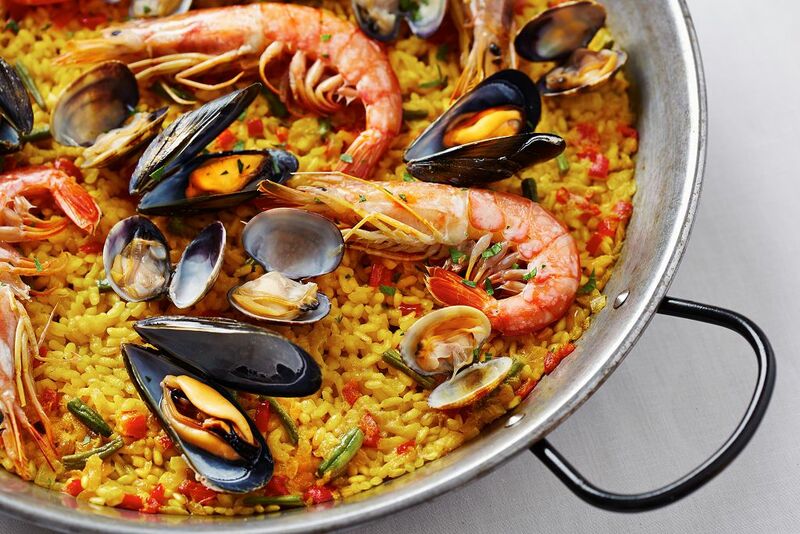 Paella might just be the most popular Spanish dish of all time. This rice dish is well loved throughout the world. 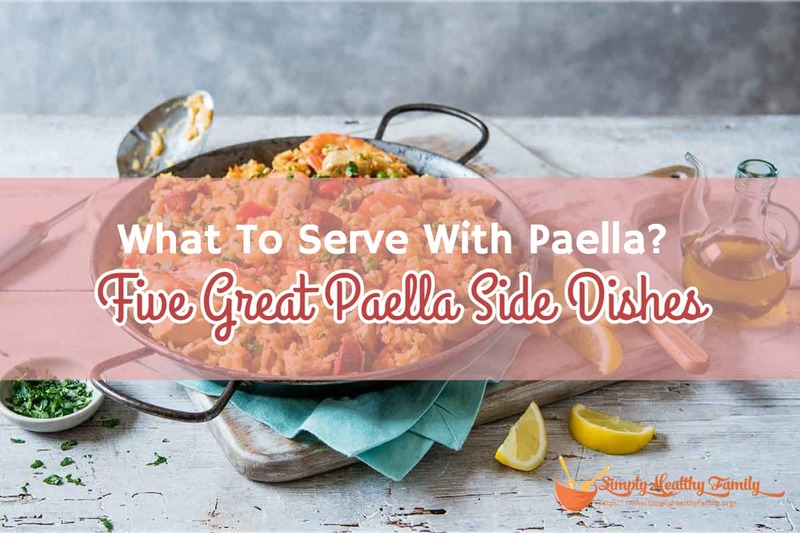 If you are wondering what to serve with paella, then read on and find out which dishes go well with it. Paella is a Valencian rice dish that comes in numerous types like vegetarian paella, seafood paella, mixed paella and Valencian paella. The latter is said to be the original recipe. It is made of white rice, meat, green beans, white beans, snails, and seasoning. All kinds of paellas use olive oil. Another common ingredient, albeit seasonal, is artichokes. Non-Spaniards like me typically associate paella with Spain. In fact, many people think that it is the national food of the said country. However, Spaniards usually say that paella is a regional dish. I believe Caesar salad is the best complement to paella. Their flavors blend well. Caesar salad gives a very fresh flavor that goes well with the meaty flavor of paella. Serve these two dishes, and you’ve got a tasty and complete lunch or dinner. Aside from being delicious, Caesar salad is very healthy. 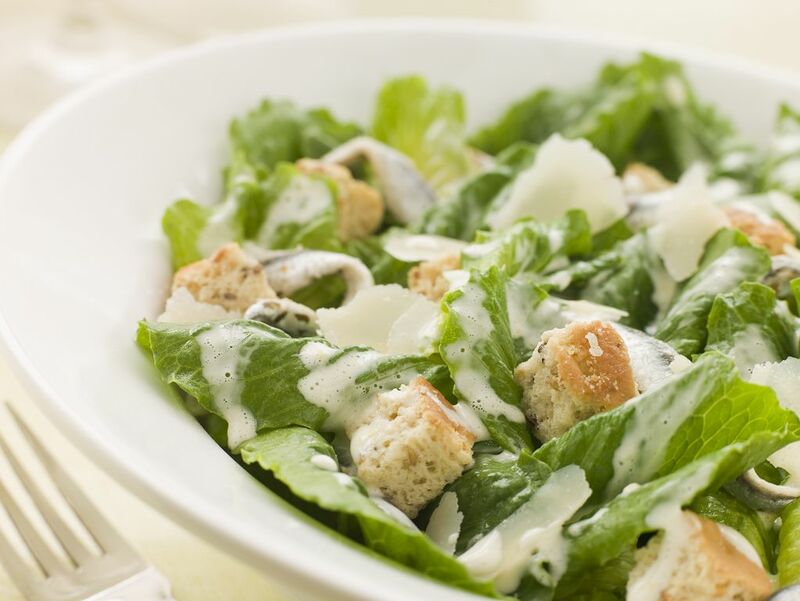 The lettuce found in Caesar salad has high levels of carotenoids that protect the body against free radical damage. It is also rich in folate and saponins that can help prevent cancer. This may surprise you. After all, why serve another carbohydrate-heavy food when paella is already loaded in carbs? Sure, both bread and paella are packed in carbohydrates. 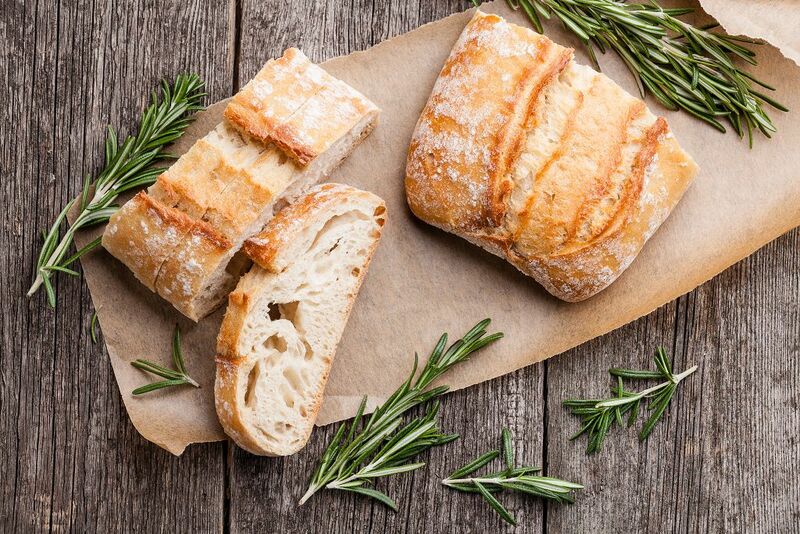 But bread, especially a crusty one, can offer a great change in texture when you serve it with paella. A warm baguette should be good enough to be paired with paella. Add warm olive oil to the bread, then eat the paella in the crust without cutlery. It’s an authentic Spanish dining experience that you should try. 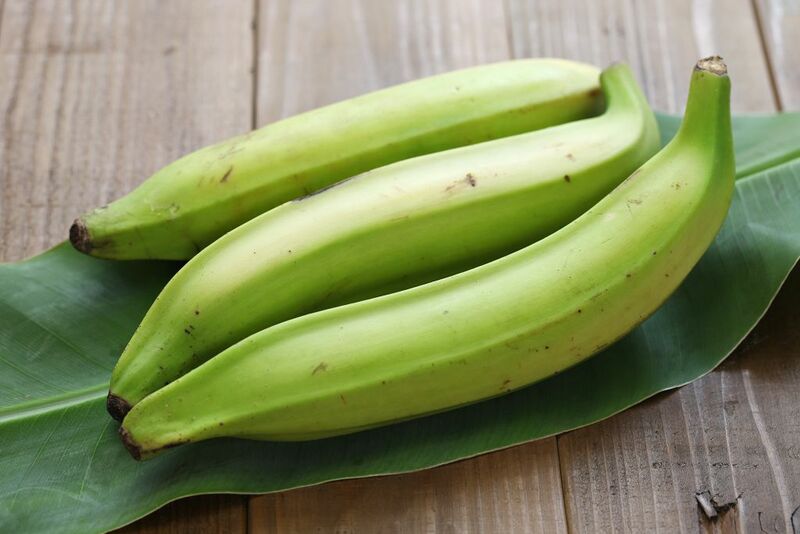 In Spanish, they call these Plantanos Maduros Fritos. 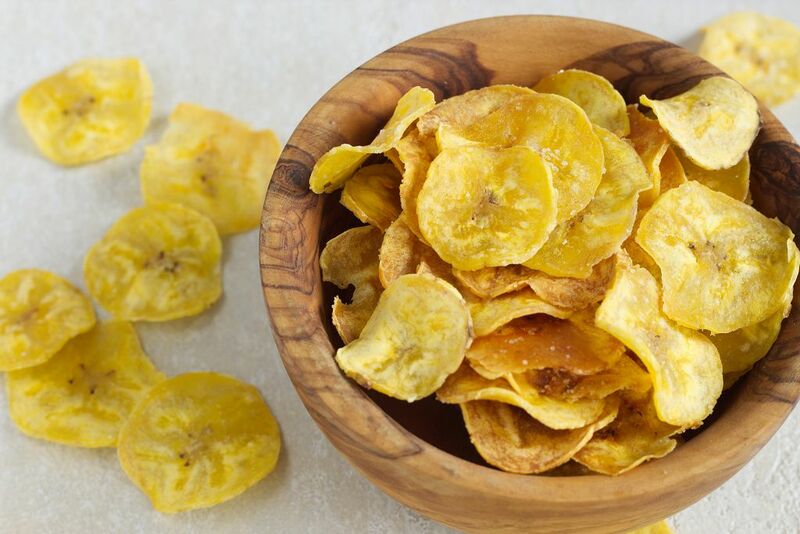 These are delicious, sweet plantain slices which were fried to perfection. Many Spaniards say this is the best side dish to be served with paella. This side dish is also very easy to prepare. You can cook one in less than 10 minutes! No kidding! Heat oil in a frying pan placed over medium heat. Peel the plantains. Cut them into slices about half an inch thick. Add them to the frying pan. 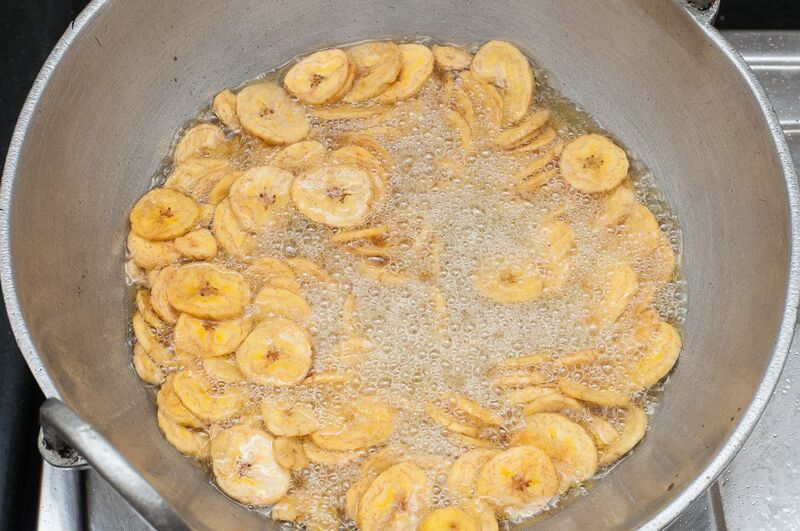 Cook on each side for about 2 minutes, or until the plantains have turned golden brown. Remove from the frying pan and place into a plate lined with paper towel to remove excess grease. Add salt then serve warm as a side dish. If you haven’t heard of this dish, then don’t worry. It’s not the most popular dish from Spain, after all. This is a type of Spanish chili that is often fried and eaten. If you want to have an all-Spanish party, then I suggest that you serve this dish with seafood or beef paella. This is chili that’s slightly fried in olive oil. It makes for a great side dish with paella. In Spain, people usually wash the chili then dry it thoroughly before cooking. They then heat olive oil over medium heat in a medium skillet. The peppers are then added and fried for about 2-3 minutes or until their color turns brown. 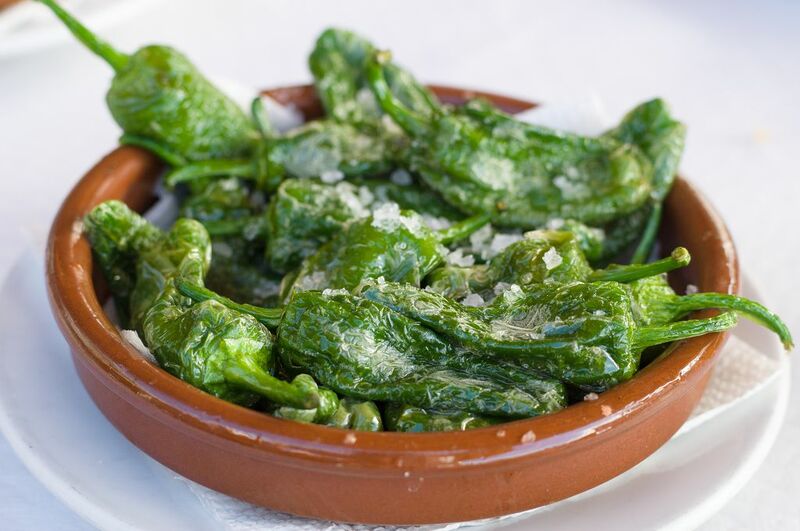 The fried pimientos de padron are then sprinkled with salt before serving. Some say it goes well with bread. The problem with the preceding side dish is that sourcing pimientos de padron can be quite difficult. Instead of using Spanish chili, you can roast red peppers instead to go along with the paella. What I love about roasted red peppers is that they provide a smoky taste to the paella. This side dish can also add texture to the paella. 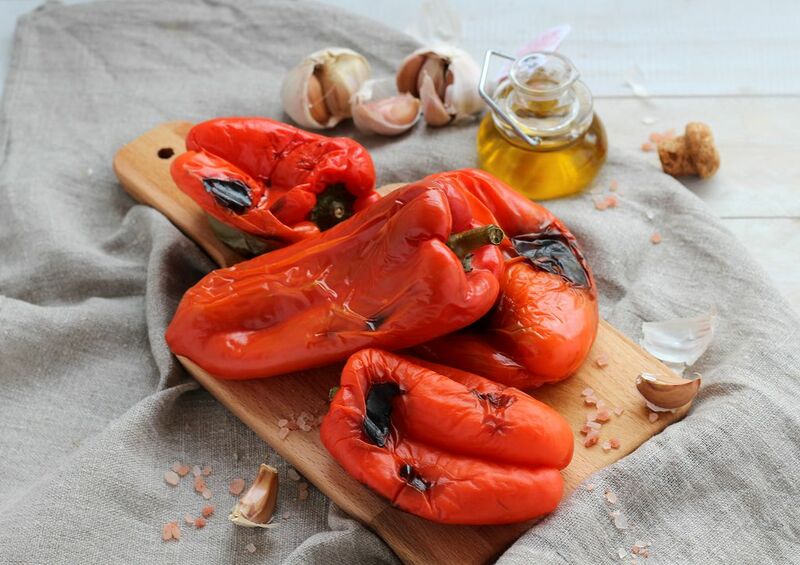 Like in the other side dishes I have shared, this roasted red peppers recipe is so simple to do. In fact, all you need are some red peppers. Line a baking sheet with aluminum foil then place the peppers on their sides. The stems of the peppers should point sideways. Preheat the oven to 400 degrees. Then bake the peppers for about 20 minutes. You’ll know that the peppers are done when they are slightly collapsed, and the skin charred and soft. Paella may be considered a complete dish by itself, but that doesn’t mean that you can pair it with other side dishes. You can serve paella with Caesar salad, roasted red peppers, and bread. If you want an authentic Paella party, you can serve it with fried Pimientos de Padron or fried sweet Plantain slices. Whatever side dish you choose from this list, I can assure you that you will enjoy paella even more.